Enterprise Times spoke to Maja Luckos, Head of People Analytics at Capgemini at UNLEASH 2018 in London. The discussion covered how Capgemini are leveraging Peakon software to deliver employee listening in a pilot project across several thousand employees from around the globe. As a global organisation Luckos also had some interesting insights to share about the cultural differences that HR teams need to consider when analysing surveys responses. Luckos also shared some interesting results about how managers have learnt that employee listening is actually a two way conversation and that micro actions can make a huge difference to employee satisfaction. Additionally, she spoke about the analysis of high performing managers and how they have identified the four things that make a great manager. 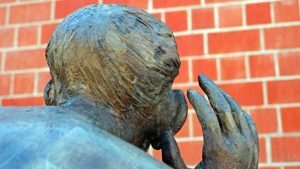 While Capgemini offers a service that delivers employee listening to clients this pilot was purely internal. The lessons learnt should be extended out into the field for customers and others to benefit. To hear more of what Maja Luckos had to say listen to the podcast. Previous articleHow do you integrate learning into your PSA?